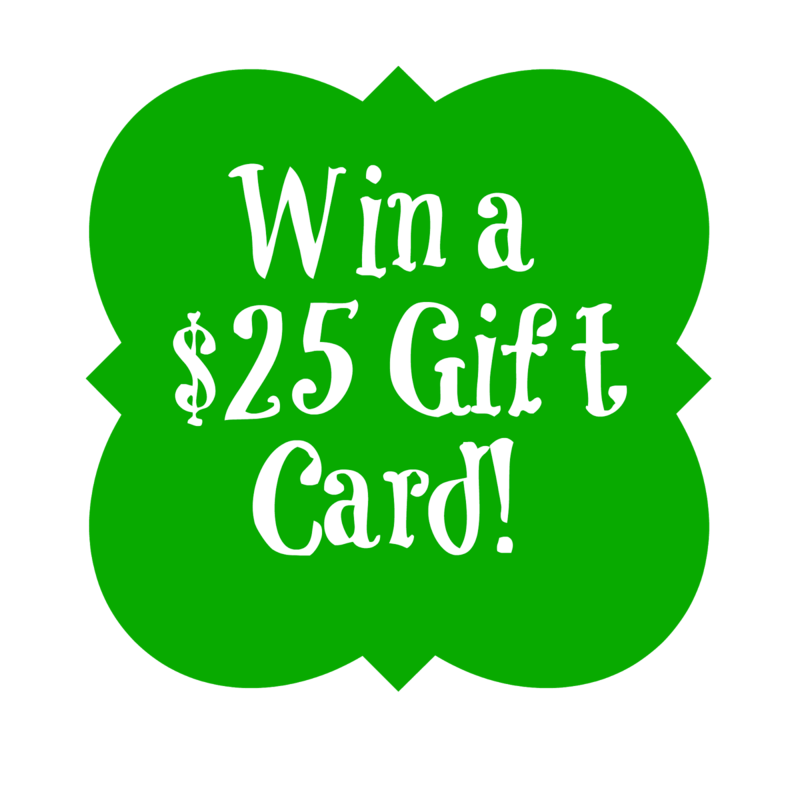 The Art of Random Willy-Nillyness: $25 Gift Card Giveaway! 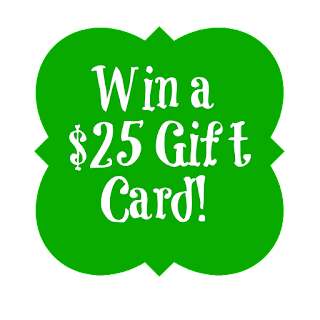 It's almost Thanksgiving is almost here so I am giving away a $25 gift card, your choice! Rules: One entry per person per day. Once a winner is drawn I will contact them and the winner will have 48 hours to reply back before I draw a new winner. Giveaway is open to US residents only who are 18 years of age or older. Disclosure: I received a sample product for review purposes. No other compensation was given and the opinions in this post are solely mine and are based on my experience with the product. Sponsors are responsible for shipping prizes unless otherwise stated. I am not responsible if sponsors do not fulfill prize. Please allow 6-8 weeks for delivery of any prizes. I did not dress up this year for halloween. I have no plans for Thanksgiving, just staying home and enjoying the day with my husband. I don't dress up for Halloween. My kids were a chef and football player for Halloween. I didn't this year, but I typically dress up as a bum (not too hard to do), and go to a pal's house where kids come for treats to hand out candy and act silly! I don't dress up but my son was the Hulk this year. I don't dress up for halloween, but I did do some fun halloween makeup with green lipstick! My granddaughter dressed up as Minnie Mouse this year and was the cutest ever! I dont dress up for Halloween. I do not dress up for Halloween. My grandson was a fireman. Wrong question? I did not dress up this year. My granddaughter was Pebbles Flintstone. I didn't dress up for Halloween. My grandson was Buddy from Dinosaur Train this year. I was a witch this year for Halloween. I did not dress up for Halloween this year. I personally did not dress up. I did dress up (decorate) my house though. The kids went a 2 of the Ninja Turtles. One was Rapheal and the other was Michaelangelo. My grand kids dressed up. My sons are older and don't dress up any more. We don't get any kids at our house so we don't dress up either. I did not dress up for Halloween. I don't dress up for Halloween and this is the first year that my son did not go out. I did not dress up this past year. I gave candy out at the front door. I don't have any kids. I didn't dress up. I did pass out candy to the neighborhood kids though. I didnt dress up for halloween. My daughter and her friends dressed at the Cheetah girls. I did not dress up for Halloween. Our granddaughter was a ladybug. most years we do dress up for halloween. i like to do themes with the whole family but now the kids are getting older so they don't really want to do that anymore. I didn't dress up, but my beautiful granddaughter was an astronaut. I didn't dress up, kids went for firefighters this year. My favorite is pumpkin pie with whipped cream! My favorite dish is stuffing. I LOVE Turkey and Mashed Potatoes too! Mashed potatoes and turkey gravy is my favorite dish. My favorite Thanksgiving dish is stuffing too, specifically my moms corn bread stuffing. I'm with you--for me, the best dish on the Thanksgiving table is the stuffing. I make mine in the style of my mother's, but I put my own twists on it. Sautéed diced onion, carrot, celery, apple, and mushrooms, plumped raisins and chopped dried apricots, cubed bread, and dried thyme and rubbed sage, held together with stock, then cooked in the slow cooker or baked in a casserole. So good! This gift card will certainly come in handy now that it is Christmas time. Mashed potatoes and gravy is my favorite Thanksgiving dish! My favorite Thanksgiving dish is always the stuffing too. My favorite food served is green bean casserole and mashed potatoes! Pineapple cottage cheese dish is my favorite! My favorite Thanksgiving dish is rice with pigeon peas, turkey with some sauce on top and potato salad. Thank you for the giveaway. Earn up to 27 more points by finishing the entry above. Tell me your favorite Thanksgiving dish! Mine is stuffing. My favorite Thanksgiving dish is Roast Turkey. My husbands Aunt makes homemade chicken and dumplings for Thanksgiving and they are sooooo good. Only time we get them. Love them. Sweet potato pie is my favorite thanksgiving dish. I'm a sucker for cornbread stuffing and sweet potato pie! Oh I am all about the stuffing too! Last night I stuffed and seasoned a hen and added carrots and onions and potatoes and cooked for 4 hours on hi in the Crock Pot. Amazing. My favorite is my Mom's cornbread dressing! I like it even more than the turkey! My favorite Thanksgiving dish is green bean casserole. My favorite dish is sweet potatoes with marshmallow topping. We love creamed cheese corn. I like stuffing too and also our cranberry salad. My favorite Thanksgiving dish is the stuffing smothered in gravy. I love mashed potatoes and rolls. Carbs! Mine is the stuffing too. I try to make mine like my mom's. I always make extra so we have leftovers. My favorite Thanksgiving dish is Candied Yams. Thanks for the giveaway! I love sweet potato souffle' and stuffing most of all. My favorite Thanksgiving dish is Turkey and spicy dressing! I love it all! Especially my yam casserole and the home made rolls. My favorite is dressing, with or without turkey. SHRIMP STUFFING! AND Crab mold from my grandmaw, its my favorite every year! My favorite thing that we had for Thanksgiving when I was growing up was these yeast biscuits that Mom my always made. I love making stuffed butternut squash! IT HAS TO BE, HANDS DOWN THE STUFFING! THERE ARE SO MANY MOUTHWATERING PREPERATIONS FOR STUFFING, YOU JUST CAN'T GO WRONG! My favorite is green bean casserole. Yumm!!! I like turkey with all the trimmings. My favorite Thanksgiving dish is green bean casserole! I love the Sweet potatoes, stuffing and turkey. I love it all, I think I like the turkey and the pumpkin cheesecakes the best though. My favorite is stuffing too! In particular, my sister in law's. I'm not sure what all she puts in it but it's yummy! Mine is chicken and dressing! oyster stuffing is my favorite thanksgiving dish! My favorite Thanksgiving dish is sweet potatoes! My favorite Thanksgiving dish is stuffing with gravy. Mine is the same as yours, stuffing. But I love it drenched in gravy! I love a sweet potato dish with walnuts and the whole deal! My favorite is mashed potatoes and gravy. The first thing I go for is the homemade stuffing and gravy. My favorite part of thanksgiving is always the pumpkin pie! Sweet potato pie is the best. My favorite dish is the dressing. My favorite Thanksgiving dish is candied yams. Larabar Origial Bites Review and Giveaway! Finding Dory - Finding Fun!